These mailings offer publishers an easy and cost-effective means of communicating information to all IndieBound stores. The Monthly Box Mailing, currently sent to 750 ABA member stores, contains the stores’ initial allotment of the latest Indie Next List flyers as well as any other timely materials from ABA, point-of-purchase materials from publishers such as shelftalkers, easelbacks, bookmarks, or posters; other marketing materials, including sell sheets and catalogs; as well as galleys, Advance Reading Copies (ARC’s), and finished books that publishers wish for booksellers to read and consider stocking, handselling, and nominating to the Indie Next Lists. 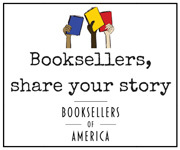 Stores “earn” their monthly box mailing through participation in various IndieBound and ABA initiatives each month, such as the ABA IndieCommerce Program, the ABC Children’s Group, regularly reporting to the Indie Bestseller List, and nominating titles to the various Indie Next Lists. This is an excellent and cost effective way to reach the independent bookstore market, and by collating, packing and shipping all these materials from one warehouse, we are able to offer publishers substantial savings in time, labor, and postage over individual mailings done on their own. The Quarterly Kids’ Mailing offers publishers the opportunity to participate in a mailing dedicated solely to materials of interest to children’s-only stores, members of the ABC Children’s Group, as well as those general stores with active children’s sections. Mailings are scheduled for mid-February, mid-May, mid-August, and mid-November, and carry galleys,ARC’s, F&G’s, finished books, and other materials that a publisher wishes to make available to this target audience (babies & toddlers through YA.) The mailing is sent to currently 750 stores. The Monthly Box mailing is shipped within the first half of the month to approximately 750 ABA member stores. The mailing is prioritized, based on the level of a store’s participation in IndieBound and ABA programs. The minimum quantity for inclusion in any mailing is 450 pieces. For galleys, ARCs and finished books, cost of inclusion is dependent on size and weight. Standard pricing typically ranges from $1.60 to $2.75 per piece. Upon receipt of the dimensions and number of pages, we are happy to provide a custom quote for any proposed inclusion. There is an additional charge for the insertion of any bounceback cards, letters, or any other collation done in our warehouse. Charges for collation will be custom quoted. IMPORTANT: Please contact Linda Ford (lindaf@bookweb.org) to reserve a place in a Monthly Box mailing. Please mark all cartons and/or packing slips: “FOR ABA [month] BOX MAILING”. Early shipments are possible, but must be pre-approved. Four times a year, a box is sent to each of the approximately 750 actively participating IndieBound stores filled with a variety of materials provided by Associate Member publishers specifically for children’s booksellers. As with the Advance Access Program, this is an excellent and cost effective way to reach the independent bookstore market with news of your titles. By collating, packing and shipping all these materials from one warehouse, we are able to offer publishers substantial savings in time, labor, and postage over individual mailings done on their own. For galleys, ARC’s, F&G’s and finished books, costs for inclusion usually range between $1.60 and $2.75 per piece, dependent on size and weight. The minimum quantity for any galley, ARC, or finished book is 450 pieces. There is an additional charge for the insertion of any bounceback cards, letters, or any other collation done in our warehouse. IMPORTANT: Please contact Linda Ford (lindaf@bookweb.org) to reserve a place in a Kids’ Box mailing. Please mark all cartons and/or packing slips: “FOR ABA [season] KIDS’ BOX”. Please mark all carton and/or packing slips: "FOR ABA [month] BOX MAILING”. Please mark all cartons and/or packing slips: "FOR ABA [season] KIDS' BOX"